Netto’s father has hit a technology break-through: Cross Fusion, allowing a human and Net Navi to merge as one being within contained virtual fields called Dimensional Areas. However, an unknown crime syndicate has been mimicking the technology in order to spread dark energy throughout Japan via Dark Chips, corrupting a Net Navi’s soul. 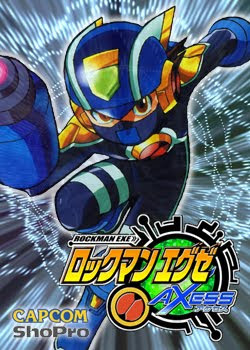 Netto and Rockman join the Net Saviors, authorities against net crime, and use the force of Cross Fusion to battle in the real world for the first time.